Built City Speaker Series: Triple Net Leases - Can Neighborhoods Survive Them? With the overheated property market, small businesses are struggling to survive under the weight of "best and highest use" tax assessments. They are slowly disappearing, along with the vibrant streetscapes. Pedestrian oriented, small scale shops provide public spaces where we build community. As cities strain under climate change, pressures and costs, social connection becomes increasingly important in maintaining the social fabric of civil society. Join our panel and lively discussion to learn more about insight and policy reform for small business in the wake of Vancouver’s Triple Net Leases. RAIC Thought Leader and Moderator Gloria Venczel will guide discussion following presentations from David Nishi- Beckingham, BC Director, AEC Property Tax, Jane and Karen Tennant, sisters/co-owners of Chocolate Mousse on Robson St., Michelle Barile, Executive Director of the West Broadway BIA and Marianne Amodio, Architect of the Hollywood Theatre Revitalization. Admission: *$12 Early Bird, $19 General Admission, **$10 RAIC + MOV Members. *Early Bird ticket sales end January 28 at 5pm. Marianne Amodio’s MA+HG Architects firm is motivated to help Vancouverites live better! A graduate of the University of Manitoba, the team at MA+HG Architects strives for bold, artful spaces that combine whimsy and function while housing multiple residents, couples, and families under one roof. This focus on beautiful, multibrood buildings earned the studio the Architectural Institute of British Columbia’s emerging-firm award in 2016, carving a place for affordability and sociability-centred architecture in Vancouver. David Nishi-Beckingham is the Director of AEC Property Tax’s BC Operations and has over 25 years of experience dealing with assessment and property tax matters. David spent the earlier part of his career working for BC Assessment Authority, where he spent 17 years learning the ins and outs of assessment on the municipalities’ side. With this breadth of experience, he is able to look at a property from both the owner’s and assessor’s perspectives. Moreover, he has the added advantage of then being able to communicate to the assessor in a common “language”. David has deep knowledge on major Industrial properties, warehouses, manufacturing facilities, big box retail, office buildings, and fractional interest properties. David is a graduate of the University of British Columbia’s Commerce and Real Property Assessment programs. Karen and Jane Tennant are sisters a co-founders of The Chocolate Mousse Kitchenware store which opened in the West End of Vancouver in 1985; a successful business with a loyal following of local and international customers. The property tax has increased 400% in the last two years. 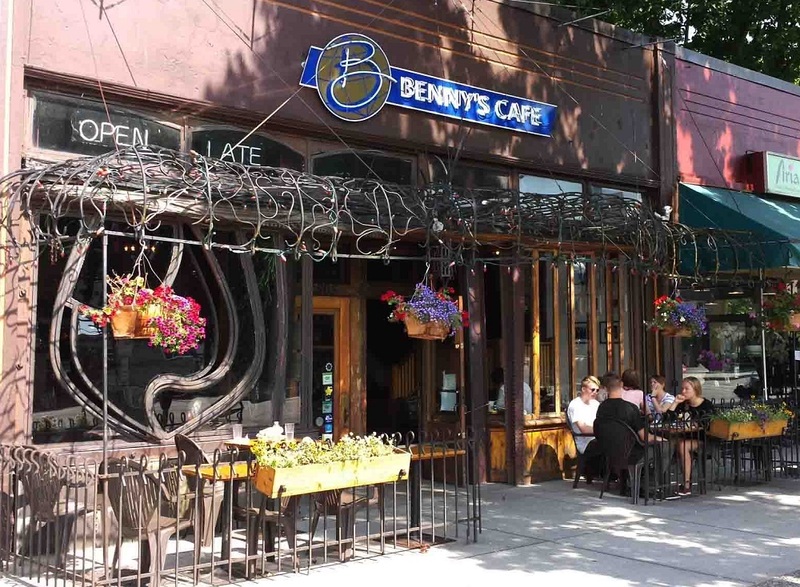 Karen and Jane are obligated under Vancouver’s Triple Net Lease to pay this tax on behalf of the building’s owner and will be forced to close and lose their store and livelihood as a result. Gloria Venczel, BES., B.Arch., MRAIC, RPP, MCIP is an urban designer and sustainable development planning principal at Cityscape Design Inc. She is Thought Leader for the Royal Architectural Institute of Canada and the Museum of Vancouver’s successful Built City Speaker Series. As the staff urban designer for the City of North Vancouver, she oversaw the programming and pedestrian oriented urban design for the Civic Plaza and Vista Commons, as well as the vibrant streetscape retail at the Loblaws City Market. Gloria currently works with the development community to help them meet municipal livability, affordability and urban design expectations.